All time seasonal snowfall records broken in Baltimore, Philadelphia, and Washington | Watts Up With That? Perhaps in this one case, weather is climate. The seasonal snowfall total in Washington DC stands at 54.9 inches. This would break the previous all-time seasonal snowfall record for Washington DC of 54.4 inches set in the winter of 1898-99. While there will be a break, my forecast engine says there may be more snow next Monday. 10 FEB 2010...AND WILL BE UPDATED AFTER THE CURRENT SNOW HAS ENDED. 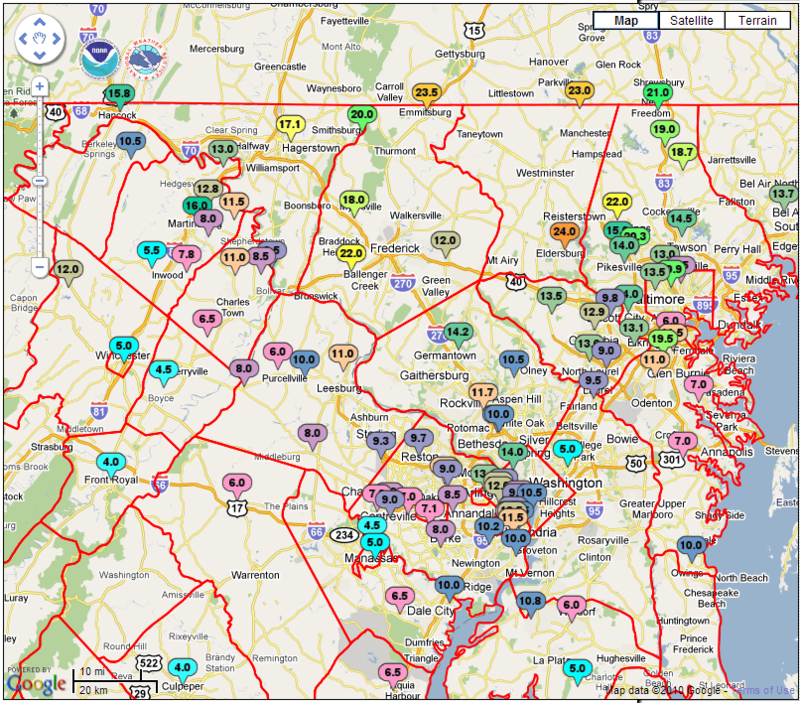 * ACCUMULATIONS...STORM TOTAL SNOWFALL OF 10 TO 20 INCHES. DRIFTS 2 TO 4 FT.
* TIMING...HEAVY SNOW AND GUSTY WINDS WILL CONTINUE THIS EVENING. AT TIMES... PRODUCING BLIZZARD CONDITIONS. SITUATION FOR ANYONE WHO BECOMES STRANDED. February 10, 2010 in records, snowfall, Weather. Federal Government in DC has closed for the 4th Straight day. As I sit in an apartment with minimal cable channels and intermittent Internet connectivity because I had a house fire 3 weeks ago — I am slowly going stir crazy. On a good note my wife and I are still getting on very well even with the isolation and cramped quarters- that’s a win! Up is Down we need a new climate organization to analyze the rise in snowfall and spend new taxes as part of the AGW agenda. Are we on track to emulate the winter of 1780? From my reading it ranked as one of the biggest. And does anybody, ANYBODY think this is all the snow this area’s going to get this winter? Lesse…what’s today? February 10th. Hmmm… I think I answered my own question. The Vernal Equinox is on the 3/20/10 …. So there is still plenty of winter to go yet! I just saw on Drudge that tomorrow, the NYT is going to have an article connecting the heavy snow to global warming. The Great Spirit of the Universe definitely has a sense of humor. Let me see if I am clear on this. Are you saying that Washington is a broken record????? Contessa Brewer on MSNBC explained that more snow is an effect of AGW (higher temperatures cause more precipitation, more precipitation in winter means more snow). So, as according to Robert Kennedy Jr. no snow is also proof of AGW, we seem to have covered all our bases. No matter what happens its proof positive of AGW. The fronts are coming through on time, I think the main difference is the Solar minimum, pushing the jet streams further south. Coupled with the “increased SST’s” putting more moisture into the air, and increasing “snow totals” where they were “rain” in the patterns before. Precipitation trends have been higher (for past year) than I have forecast by 25%-50%, based on a natural analog of repeating patterns with the level of solar activity about the only difference from the past cycles. Waiting to see if we get “the annual ice storm in Kentucky/Tennessee” in the next 3 days, as forecast. The spin on this is unbelievable. It really is sad to watch. It’s very sad to see the debate all boils down to whether the climate will get warmer or not. If the climate warms considerably then the AGW alarmists win. If the climate cools dramatically, the other side wins. I find this both childish and stupid. Whatever the outcome, it does not answer the question of how much man is influencing climate, and therefore what if anything we should do about it. I find the debate amongst virtually all scientists corrupted. It goes to show the essence of scientific research, that is to search for the truth, is all but forgotten, and that we’ve entered a new dark age where lies are turned into truths. George Orwell would be very proud of us all in fulfilling his warnings. I’m still waiting for fraud charges to be handed out to the leading clowns of the AGW scam since they have proved nothing and yet they have convinced much of the world that we are facing a global warming catastrophe. It may be true but there is absolutely no evidence to support this hypothesis, no more than there’s evidence that we are being invaded by aliens in UFOs, as some claim. The difference being is the UFO believers are not forcing a new super tax on us that might very well destroy our economic future. The AGW con artists are trying to do so, all based on an unproven ideology, hence they must be brought to account, ideally behind bars. All I know is that it’s 10:00 PM Wednesday night here in Philadelphia, it’s still snowing, the drifts are taller than my Welsh Corgi, Robbie the Duke of Darby, and he keeps complaining that his wee-wee is cold. Why is it always in all-caps? So self-important. Spokane, WA got its record snow last year (08/09.) An all time record, most of which happened around the end of December. The previous year’s snow was unusually heavy, as well, though not record breaking. This year? I think Gore & Co sucked out all the cold. It’s been nice. MId 40s (unusually warm, but not record breaking) much of the time with very little snow. MUCH nicer than last year. I’m glad I didn’t actually get around to buying that snow-blower that I’d been thinking about. This planet is in fact sending a message to Washington, but only in the light of truth emitting from proper science will they ever decipher it. Too bad they are wrong and we know it. Two very satisfying Youtube videos capturing the DC snowfall. Warning to rightwingers, don’t rub your hands raw in your glee. I imagine Biden as Tigger and the Obama as the Teddy Bear. Kind of like a sinking ship, except backwards. Could someone explain the physics behind the previous records. If warming caused this record, did the laws of physics change from 110 years ago? Seems you can’t even buy a good solar cycle discussion these days, I guess everyone is watching and waiting. Anyone know if Livingston & Penn have produced anything on recent field contrasts, and if they’re still diminishing? 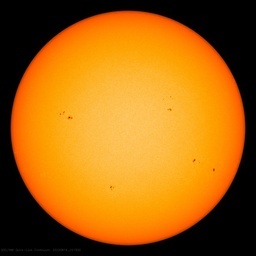 While the sunspot numbers are ok, the spots seem to lack oomph. This ramp up kind of reminds me of cycle 20, looking at the early high numbers of NH spots produced to date. The whole state of Maryland was under a blizzard warning late this afternoon. I was wondering if there has ever been another storm that required a whole state to be under a blizzard warning before. Would NCDC have data on something like that? Or the Balt/Wash NWS office perhaps? Thanks, Joel. Believe me, most snow is the last thing these people need. Getting the freezing rain on top of the existing snow is preventing it blowing off of roofs. Now there are TWO layers of frozen rain on two layers of snow and roofs are collapsing. I heard a report of the Hartly, Delaware post office roof collapsing but the person reporting said that was something they “heard” and had not verified it. Several residential roofs have collapsed in the DelMarVa area on the Eastern side of Chesapeake Bay. 54 inches in 1899 was due to a lack of CO2 and cold. 54 inches in 2010 is due to out of control warming and excess CO2. Do I get a Nobel Prize for figuring that out? With all this free time on D.C.er’s hands, being house-bound and all, what a great opportunity for them all to be making up signs and banners telling people to stop global warming. If this series of storms really does prove global warming, then why don’t we see people outside protesting? …and Anthony, I understand your lack of amusement with the new M4GW video. Perhaps you could admonish your fans to not post links to videos with banjos (gasp…I can’t believe I even used that word…). Not according to Uncle in Spokane. He moved up there to get away from NE winters and is now fit to be tied. Oh, and btw…. the literature says the MWP was nearly global. They didn’t have thermomoters back then. They had people who wrote about the times they lived in, and it was warm. Wearing his other hat as IPCC author, Santer was also widely accused of being the man who added the key words “discernible human influence” to the body of the IPCC report, and of doing it very late in the day. True enough. This was messy and does not reflect well on the IPCC. Those words were agreed at a main session of the IPCC in late 1995, attended by politicians. They wanted them included in the report’s summary for policy-makers. But they went beyond what was said in the chapter from which the summary was supposedly drawn. Is it Fairbanks or Yellowknife? Yes, but they are just setting it up to later tell us all this precipitation is further proof of climate change. Have we reached the level of General George Washington crossing the Delaware to catch the Hessians unaware? The Hessians were caught dead drunk, as nobody in their right mind conducted war in the 18th Century during the dead cold of Winter. Like DC is getting hammered with now, all shut down. The Hessians were hammered too, in more ways than one. Poor Robbie!!!! I bet nobody at IPCC gives a damn, but I DO!! I’m sitting at my spinning wheel and spinning up some pure New Zealand wool to knit little Robbie a doodle-warmer. My beagle, Doctor Watson, is supervising. Pat: I am of the opinion that there should be no IPCC of any sort. The very name is absurd,”Intergovernmental Panel on Climate Change”. As if there can be a global government panel that can do anything about the ever changing climate. Have we all woke up in a bad Saturday morning cartoon? More warming equals more precipitation is only partly true. See the article about Aussie Droughtgate from a couple of days ago. Toatal sunshine hours (SSH) causes more evaporation by a factor of four. So it’s the lack of cloud cover that causes more evaporation. It has to be cold enough for it to snow. If there were record snow falls in the late nineties, broken now in 2010, when will it be warm enough to change snowfall to rainfall? According to alarmists, it’s been warming at an UNPRECEDENTED rate since the 80’s, almost 30yrs ago. Didn’t a British wag say British kids won’t know what snow is? Well these kids have their own kids now, they sure as hell know what snow is. There is no end to it, reminds me of “Hey Leonardo, wenna arr yu gunna finnish? According to WCAX News there was more snow in Baltimore than in Burlington Vermont. Clearly this proves that the warmer it is the more it snows. That is way the snowiest place in the world is at the equator. This is really getting out of hand. All weather proves global warming and the lack of warming in the last 10 years proves it, everything proves it, the ice ages prove it everything proves it. I like the M4GW Song. Of course we expect this nonesense. If one examines history, you’ll find that this season breaks the record set back in the winter of 1898-99. On Valentine’s Day that year, the Great Eastern Blizzard hit. Washington had 20.5 inches of snow with a 34-inch cover at the storm’s end. The storm occurred during one of the bitterest arctic outbreaks on record. Snow–it’s connected with cold. Does the agenda-driven media think we’re all idiots? Or, are they the idiots? Lazuras, at that snow depth, forget the Corgi! MY WEE WEE would be cold! I’ve been searching old maps for that Medieval Region. Anybody know where it is? I haven’t found a trace. Oh yah, you betcha. Thanks for the link to the M4GW video. Just got to love a wannabe Viking who sings. You don’t see that everyday. The motorhome is heated with a wood stove! Since most motorhomes seem to just burst into flames sooner or later anyway, why not? That will make it easy to calculate the carbon footprint of the motorhome however. All you will need is a tape measure…. Snow–it’s connected with cold. Do the agenda-driven media think we’re all idiots? Or, are they the idiots? Well the precipitation aspect of AGW seems to be correct thus far. I wonder if AGW takes into account the negative feedback that increased precipitation causes though ? Anyone know if that’s accounted for too in their models ? The most damning evidence against sudden, man made climate change can be found on Youtube. The video history is damning. The warming must be happening in Obama’s extra seven states, ’cause it sure isn’t happening in the fifty that we know about. Looking at the weather models, the storm on Monday is slated to pass mostly out to sea. It will start in the Gulf of Mexico and get lifted into the South but then will get pushed out to sea before it can get entrained with the cold air over the atlantic states. If it is just 200 miles further West, then it will dump 2-4 inches of water equivalent from Carolina up to Maine. Also of note is the possible formation of a Mcfarland signature in the 10-12 day time frame. This is not over yet. Just as I said a week ago or so after seeing the Arctic Oscilliation going into the deep negative territory would the Winter Olympics see snow a few days before it’s due to start. That prediction came true. My next was that they get too much snow. The funny thing is that I watched a meteorologist on one of the Portland, Oregon tv station where he stressed to his viewers that global warming causes extreme weather events. Never mind the fact that we have a dull two years of hardly any hurricane activity. But since DC broke a record that was 110 years old does that mean the record back then was a result of global warming, too? I wanted to reach into my television screen and slap that guy silly. Ignore my hic-ups…am typing too fast here. Funniest thing I have heard today! Thank you. Lots of alarmists out there blaming the DC snow on the “extra moisture content of globally warmed air.” One minor problem – temperatures in Washington are running far below normal and have been for weeks. At some point even the most obtuse person is bound to realize that this has nothing to do with warm air. Well, the weather is busting out of the “normal range” (i.e. recorded history) of statistical climate on the East Coast thus this season is relevant to the long term climate thus weather on this scale of “change” is climate change. Sure one day wouldn’t be but an entire season of record cold and snow has a statistical impact upon the longer term (10, 20, 30 years) trend of the climate. If you don’t think so then you need to check your statistics math. However, it’s not likely caused by man unless you’re a warming alarmist where every weather event is caused by Man Made Global Warming Climate Change. In fact humans should just get off the planet since everything we do causes every wee bit of climate change. Heck we even breath out CO2 with our every breath! Heck even the greenies wanting people to take bike rides causes MORE CO2 to be put into the atmosphere. The only way to stop it is to eliminate man. Yikes. To those of you asserting that the snowiest season on record for many parts of the USA East Coast is caused by man how about telling us just how such a backwards world works? You can’t have it both ways, either the planet is warming or it’s cooling (or it’s staying exactly the same or close enough). One could say that the extra moisture is leaving the atmosphere to compensate for any extra CO2 that is in it. This is part of the idea of the “Ferenc Miskolczi’s Saturated Greenhouse Effect Theory: C02 Cannot Cause Any More “Global Warming” (http://pathstoknowledge.net/2010/01/13/ferenc-miskolczi%e2%80%99s-saturated-greenhouse-effect-theory-c02-cannot-cause-any-more-global-warming). So there are alternative explanations than jumping off the deep end with extreme cooling events being considered the cause of a warming world. Hmmm, Steve, doesn’t it have more to do with the intersection of moisture laden air from the tropics, as a result of elevated SSTs, moving northwards with very cold arctic air moving southwards? That is, it likely has little to do with recent temperatures in and around Washington or Maryland. If its GLOBAL WARMING that creates this new record now, surely it was GLOBAL WARMING in 1898-99 too? So, what caused GLOBAL WARMING in 1898-99 ?????? Come on now? What was it? May I suggest the indians on horseback? The propaganda rolls on, oblivious to common sense. When are people going to get really, really tired of being lied to? I can’t wait to see the snow cover satellite images a few days from now on the first clear sky day after this storm series. With snow that deep and this early in the season (low sun angle) that snow will be altering terrestrial albedo numbers for weeks. The same snow depth in March or April would go away in a matter of a few days due to the high sun angle. I’ve seen references to warm air, cold air, lake effect snow, and who knows what I’ve missed. Now Steve G @ 21:49:28 states this has nothing to do with warm air. When one talks about air masses several things are important and temperature is one of those things. In the case of a storms such as these dumping snow on the mid-Atlantic region there is relatively warmer air that has a high H2O content and a second air mass that is relatively colder with a lower H2O content. When the air masses meet the denser air (cool, dry) stays lower and the more buoyant air (warm, moist) rides up over the former. Rising air expands and the temperature falls. This supports, in the current case, a de-sublimation or deposition, producing snow. I hope someone has captured and animated the satellite views for these storms. With some highlight and labeling that would show the sources, characteristics, and dynamics of the storms. I don’t have the knowledge or software to do it but would like to see it. Can someone provide a link? We know, because Hugo Chavez tells us so, that the Haitian earthquake was a trial run of the Pentagon’s super-secret Nuclear Tectonic Generator, aimed at Port au Prince on orders of Corpse Man direct from Washington. Haitian Voodooists have now retaliated, shooting two –count ’em!– major blizzards right where Corpse Man slurps his arugula. Save us, Smee! If Corpse Man, El Supremo, can’t stick a pin in this one, we’re all doomed. That’s as Medieval as you can get. ROTFL! They can never ever give a mic to a skeptic again because they would have to weasel themselves out of anything we say: “It was supercharged moist air” “How is that different from normal moist air” …. Then it was a young George Washington, who upon chopping down the cherry tree started a run of Global Warming that decades later made a run of Global Cooling and we had our 1st victory as the Continental Army caught the Hessians napping after they got hammered. Perhaps (the) God(/s/ess) got bored with throwing snowballs at Al Gore, and decided to aim at Barack Obama or Nancy Pelosi instead. Both of them were in Copenhagen for that particular blizzard. Whichever way, it seems disadvantageous to get in a snowball fight with someone who makes their own snow. Looks like another storm winding up in Texas. I surely hope they don’t get another blast in the mid-atlantic. Pennsylvania and West Virginia are likely to see some terrible flooding this spring when all this melts, if it melts in a rainstorm. Here in the U.K. we’ve just been told that, after 30 years of extensive research, scientists have concluded that Spring will arrive 11 days earlier. Why is this written in the conditional mood? Are they trying to imply that somehow it’s not clear that it does break the record, or are they only marginally literate? Only a couple inches in southern NH. However it was enough to touch up the old snow-cover, which was starting to look worn and grimy. We don’t have much snow, but it doesn’t go away. I built an igloo for children in December, after our single snow of over six inches, and its still standing, although it did have to survive a brief warm-up and rain in January. It was funny to listen to Boston stations yesterday afternoon, as they became aware the “blizzard” was going to miss them. (It grazed the southern part of Cape Cod.) They all piled on the poor weathermen, of course. As Baltimore got clobbered, Boston got light drizzle and temps of 35. If the storm had blown up as expected, Boston could have gotten a foot and winds of 45 mph. So they cancelled school and everyone was rushing out to buy milk and bread and candles. Now they are calling it “The Phantom Blizzard.” People are complaining (tongue-in-cheek) about how tired they are from shoveling all the phantom snow. One fellow commented that there will be a headline about how the “Snow-Removal Budgets Are Exhausted,” because they had all the plows out working overtime, plowing away the phantom drifts. Another fellow commented that if the plows are going plow when there is no snow, he wished they’d plow away all the salt they dumped on the street in front of his house. The governor asked that all “non-essential state employees” stay home. Of course that phrase, “non-essential,” got people talking. The consensus was that, with ordinary folk unemployed, it would be a great relief to tax payers if all “non-essential” state employees stayed home for good. So…life goes on in quaint New England. Aftermath… a mathematical formula used to derive how much the taxpayers will pay, as they are going to blame this weather on Global Warming. We have had a milder than normal winter in Newfoundland so far … rain tomorrow! (Waving right hand.) This is not the snow you’re looking for. We’re up over 60 inches for the year, but we’re not even close to “snowiest winter.” As of yesterday, this is only #16. But there’s a ways to go yet. We did break our February snow record…actually, we obliterated it. We’ve had some doozies in March, like the Blizzard of ’93. This isn’t over yet, not by a long shot. Sea Surface temperatures in the Northern Hemisphere are generally running below normal. Particularly in the Gulf of Mexico and along the East Coast of the US. Your statement that snow in Washington and Maryland has little to do with temperatures there, doesn’t make much sense. @ hotrod ( Larry L ) (22:33:57) : I can’t wait to see the snow cover satellite images a few days from now on the first clear sky day after this storm series. With snow that deep and this early in the season (low sun angle) that snow will be altering terrestrial albedo numbers for weeks. The same snow depth in March or April would go away in a matter of a few days due to the high sun angle. Larry, one of our local meteorologists was talking about this yesterday. The temperature has dropped a lot because of the albedo–it’s so high with all the snow cover that we’re not going to get above freezing for at least the next ten days, possibly longer. And if we get any more snow (another storm possible Monday/Tuesday), it’s just going to make it worse. It’s easy to see how, in theory, one bad winter, where the snow doesn’t melt until June if at all, could cause an ice age. I think people who posts Fred Pierce’s articles from the guardian here should say its by Fred Pierce so I don’t waste my time going there. I know this has been mentioned before, but I think we should bring it up again. Let’s not forget that NOAA predicted a warmer and drier winter than normal for the East. How on earth could their modeling have gone so wrong?? I’d also like to point out that Accuweather predicted a colder than normal winter for our part of the Midwest and a snowy winter for the East and Midatlantic, which was dead on. The only variance is this: We’ve received at least twice as much snow as normal–and obviously more than predicted–for the region. Funny comment on newsvine in answer to blogger Eric. If only that ignorant stupid Fox watching sun… and those uneducated right wing volcanoes would listen to you Eric. >>Well the precipitation aspect of AGW seems to be correct thus far. >>I wonder if AGW takes into account the negative feedback that increased precipitation causes though ? Anyone know if that’s accounted for too in their models ? Indeed. I spoke to my colleague last night who is on a trip to Rio (where I was supposed to be, dang visa delay) and he is roasting like a hot dog on a hot grill, all predicted by El Nino just like the stormy weather on the west coast. If a moron like me can understand this what’s up with all these so called scientists? Well, well. I didn’t know that AGW was so powerfull that it could actually change the date of the equinox. Live and learn. And the negative AO. I think that’s the main thing that’s pushed the storm track so far south. Up here in New Hampshire I think I got 0.1″ yesterday, it had pretty much blown away, melted, or sublimated by the time I got home. Our previous storm was 0.3″ on January 28th. I suspect if you look at precip over the east coast things aren’t far out of the ordinary. Don’t forget, the southeastern drought last year (remember that) was due to global warming too. Now that the drought’s over, doesn’t that mean we’re cooling? I don’t see how a southern storm track ties into global warming. During the Year Without a Summer in 1816, the weather in New England shows clear signs of a southerly storm track during the summer I’d expect a southern storm track correlates better with global cooling than warming. OTOH, the “amplified” jet stream confuses things a bit and allows cold air south and warm air north. All part of the ENSO/AO/NAO mix. Joe D’Aleo could explain a lot better than I can. He and Joe Bastardi predicted the southern storm track last fall, so I’m glad to see private sector AGW skeptics doing well in the long range forecasting dept. So a few years ago, the left was saying lack of snow, no more snow in WDC, proof that global warming was going to destroy the planet. So now we have snow coming out of their ears, is this proof of the next ice age is coming. BY their reasoning, seems so. Yet today the news is record snow is proof of global warming, so say the global warming scientists. So that’s why they now say climate change, climate change covers everything, so everything must be proof of global warming, or of nothing at all. So positive feedback is now negative feedback, nothing to see here, move along. > It’s easy to see how, in theory, one bad winter, where the snow doesn’t melt until June if at all, could cause an ice age. That was one of the basic tenets of the impending Ice Age worry in the mid 1970s. A few months after I read that I flew across the country, I think around the end of February, and concluded unless the snow covers all the conifers, the spring and summer sun will heat up the ground level air just fine. Do you know what you would call three more months of twice weekly snow storms just like this last one? One hell of a good start! This is just a bit of bad weather, wait for a record 2010 summer – when it will be a bad climate. Or even a mild 2011 winter, which again will be evidence of global warming. Just to repeat the obvious spoken by others, this snow event and its location has nothing to do with CO2. It is the classic coming together of a strong South to East tracking Pineapple Belt, El Nino driven, moisture ladened, Jet Stream bringing even more moisture up from the Gulf of Mexico, slamming into a negative AO. Wet plus cold = snow. We have had other El Nino’s just as strong but we didn’t have a negative AO. In those instances, wet plus warm = rain. 5th grade science text book, from the previous adoption, not the California Green newer editions. Yes Bill, saw the same report, also caught Richard North’s comments on it. It appears that Louise Gray forgot to mention that the report referenced covers 1979 to 2005? Amazing really, but there you are, next scare, global warming is detrimental to memory! It is snowing in the Dallas – Fort Worth area right now. Really fun driving into work. This is the second big snow for us this season (the first gave us a white Christmas). Very unusual to have two such storm in the same winter, especially so given how late in the season this on is. Forecasts call for continued negative AO with a waning El Nino. Meaning, snow pack will melt slowly in the East. That’s good. Wouldn’t want Obummer to press the panic button over CO2-caused flooding. Which if he does anyway, will really cast him in an El Stupido light. To state the obvious, I believe melting snow would be the source and cause of flooding? Somebody peer-review me, quick. It seems to me that someone who was well versed in statistics could do a study of the frequency of new records, to track if & when the climate was warming or cooling. If it was warming, you would expect that new high temperatures would be set more often than new low temperatures. Vice-versa for cooling. And the million dollar question is– what is that message??? 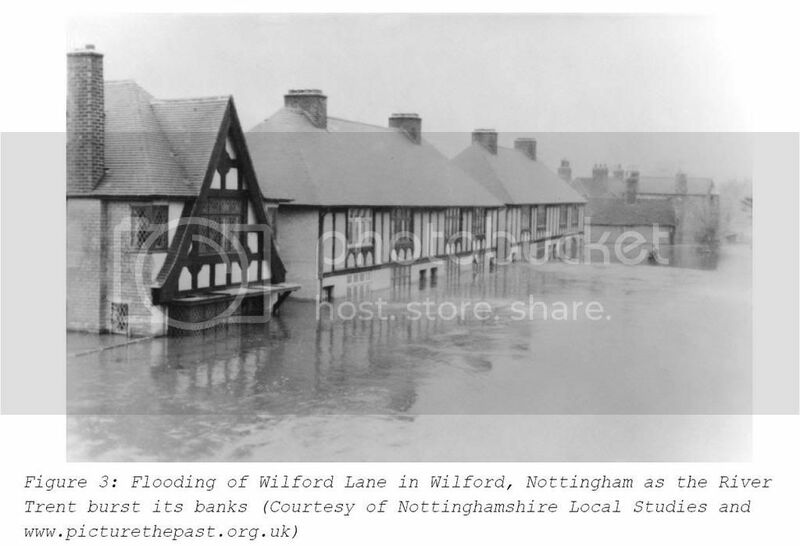 Extreme snowfall and rainfall events have long been in the AGW models. More heat=more evaporation, to fall as snow in winter and rain in summer. General climate patterns disrupted. On the flip side, those who believe we are headed toward another ice age would see this as a sign of that impending event. That is, in January the temperature anomaly for the contiguous USA was a whopping (approx.) 0.6 degrees cooler than the average global anomaly. I think most folk have got the message that the contiguous USA is having unusually cold weather. How many folk have got the message that, at the same time, both satellite series are recording the January 2010 anomaly as the warmest on record? How many folk have got the message that, at the same time, both satellite series are recording the GLOBAL January 2010 anomaly as the warmest on record? Don’t shoot the messenger … (cue dramatic music) … It was the shadow that did it. Richard I can’t tell if you are serious or just being sarcastic. Assuming that you are being serious then we are talking about an extra 0.5 inches of snow between the two storms. Ignoring all the other possible random reasons for the difference, let’s look at the water content as if it was a true indicator. Using the more or less standard 10 to 1 ratio of snow to water (relatively dry snow) this is an increase of precipitation on 0.05 inches in 120 years of raging carbon increase. Not really much to talk about even if it were true. I live just outside the NW Corner of baltimore city, MD (there is also balt, county) in the suburb of Pikesville, MD 21208. In my apartment complex, we measure 62.3″ of snow from Friday/Sat’s storm, and Tues/Wednesday’s storm. That doesn’t include the 14″ from the late Jan storm or the mid December snow storm-16″ there. “All-time record broken”. FALSE. All-time would mean some 4.6 billion years of snowfall observations. Please stop misusing the “records” the way the warmists do. It’s here! It’s here! The tipping point… the ice caps have extended down to Washington DC! The next ice age has arrived! Does record snow come from record cold? How warm can it be and still have snow? Doesn’t snow come from water vapor in the atmosphere? Where does record snow come from? Well, like I said, “in theory.” 🙂 It’s easy to see how they reasoned that. But 10 ft. snow banks don’t melt quickly. A lot of it might still be there in May; the temps at night here can get to freezing that late. Baltimore is dumping their extra snow in the harbor, but DEP won’t let us do that here. We used to do it, but they’re more worried about the carp than they are about a few mountains of snow. @ Shelama (07:26:29) Does record snow come from record cold? How cold does it have to be to snow? How warm can it be and still have snow? Doesn’t snow come from water vapor in the atmosphere? Where does record snow come from? Usually, we get pounded when the temperature is right around 32 F. There’s more moisture in the air, so snow totals are higher and the snow is heavier and wetter, thus harder to plow. If it’s colder, it helps keep the total down (though not always; during the ’93 blizzard it was brutally cold thanks to high winds), but the snow is lighter and fluffier. The southern states are receiving and will receive snow as well. How does global warming explain snow near the gulf of Mexico? Shouldn’t the “extra GW moisture” be extra hot and fall as rain not snow? I am looking forward to future discussions, because I am interested how such jumps can even happen. Just think of it. The temperature jumped nearly a half degree! If you want to create a panic, draw a trend-line from that! However, if you look back at the 1998 El Nino, you’ll notice that the sharp rise was followed by an equal-and-opposite sharp fall. What I wonder is how the heck this heat can just appear, and then just vanish? Where does it come from? Where does it go? It seems obvious that thermometers display a weakness, when it comes to measuring our planets “energy budget.” Somehow “deposits” and “withdrawals” are occurring that need to be explained. It is the varying (and sometimes conflicting) explanations which truly open your eyes to how complex our planet is, for energy doesn’t just disappear. It takes forms which thermometers don’t measure. We need to start thinking about latent heat, and potential energy, and thermohaline circulation, and all sorts of other fascinating stuff. Just start with this one: What holds more energy, a square foot of air at 30.5 degrees in a dead calm, or a square foot of air at 30.4 degrees in a 100-mile-an-hour wind-gust? Great job of cherry-picking the record you want. That gives a much more honest perspective. I have more charts if you’re interested. Thank you for repeating what others have identified, that the Satellite Series do NOT match reality. China was the the other really major “anomoly”, pun intended. After Hansen at GISS performs his adjustments you will find that no snow fell in Washington at all. Which the ecologists, greens, gaia believers,etc. lack. What a presumptuousity this lack of humour reveals: They think they can alter the change of seasons and even ride the chariot of the sun itself, like silly Phaeton. They pretend, really they wiseacre, to know the laws of earth and heaven, while doublessly believing in those “laws” which are not but descriptions of phenomena seen through the colored glasses of subjetivity. Real laws are the ones which explain and reveal causes not the ones which only describe observations no matter if by beautifully presented mathematical correlations. All evidence points to MWP and other warm periods covering most of the globe. With the ‘warmist’ scientists blaming this winter’s record snow on CO2, why don’t those texts from the past talk about all the snow they experienced? I think the CRU/GISS/NASA/IPCC have reached a tipping point in their credibility. There are lies, damn lies and 21st century climatology. Here in extreme western MD we escaped this storm — only 4-5″ but w/very strong winds. Still, that’s ~40″ total for both storms. Electric power has blinked alot over the last week, but never gone out for more than a second or two — very lucky. One interesting occurrence after the first storm was how badly the forecast was for the overnite low after the snow stopped. The NWS predicted 5 to 10F, but it dropped down to a startling -6F (-21C) under clear, calm skies. I’m trying to figure out the mechanism for this — perhaps the storm had condensed out so much moisture from the air that after it passed, we were left with extraordinarily dry air which radiated heat away very efficiently during the night. This snow cover and its high albedo (in a rural area) is almost guaranteed, as it has most of this winter, to keep temp from exceeding the freezing point even during a “warmer”, sunny spell. Urban areas with large areas of snow removal will easily get above freezing during those spells. NewsFlash!! Senator Inhofe’s family builds new home for Al Gore. Here is my question for ya’ll…is this the Pineapple Express but only farther South? Obviously El Nino moisture is fueling this…just wondering. Hard to believe, but Dallas/Fort Worth area is getting steadily snowed on today – around six inches of snow is predicted by the end of the evening. Looks pretty. But I don’t have a snow shovel! You D.C. folks can come down and help us all shovel. Warmists are claiming the recent unusually heavy snowfall in D.C. is due to global warming. Using that rationale, when a heat wave occurs in mid-summer, skeptics can claim with equal validity that the cause is global cooling. Even if the warmists had a sound basis for their claim (i.e more severe weather events), I’d still have difficulty accepting the idea that the advance of glaciers thousands of years ago at the onset of the last ice age was the result of global warming instead of global cooling. As would any proponent of AGW. We are actually currently in an “ice age” and just happen to be in a nice interglacial period inside this much larger ice age. There are long periods of glaciation and shorter warm interglacial periods. The freakish heavy snows on the east coast are not a sign of either impending warmth or glacial advance…they are simply “out of the norm” based on weather data collected over the past 150 years or so. In being “out of the norm” and involving heavy amounts of precipitation, they are consistent with AGW models– but do not prove anything. It may be snowing like hell in the USA NE, but perhaps I should point out that we are freezing again in NW Europe. -6 tonight, -2 in the day. Light dusting of snow. DFW has set a calendar-day snowfall record with 7.9″. It’s interesting to note their statement doesn’t include any clause about “quality control” from NCDC. Yee Haw! …The ice sheet has extended down to Texas! I cannot figure out why Dulles airport is included as DC. It’s about 25 miles west of DC. I lived near it for over 20 years. DCA (Reagan National) is the official site for DC. When they reference records for DC, they refer to the DCA records. Interestingly, that site moved from NW DC down to Reagan sometime in the early half of the 20th century. This has caused some discussion in the area about DCA’s low snow records. Dulles is included as another measuring site for the area since it’s a major airport and also the location of the NWS office. It’s not considered the site of record for DC. BWI is the third site since it’s another major airport and located within the CWA for the NWS office. Interestingly, BWI is located about 10-15 miles from Baltimore. In fact, many major airports are located a fair distance from the actual metropolitan area they reference. This is, I’m guessing, a result in the relatively recent boom in air travel and the need for incredibly large, flat areas when building international airports. Pittsburgh’s airport is about 15-20 miles west of downtown. Airports for Detroit and Denver are over 20 miles from downtown. And those airports are the site of record for those cities. In this sense, DC is lucky to have Reagan so close to downtown. Steve, What I was referring to is that whenever some news organization mentions Dulles, they call it DC. It’s just irritating. Hard to believe, but Dallas/Fort Worth area is getting steadily snowed on today – around six inches of snow is predicted by the end of the evening. AT MIDNIGHT ON FEBRUARY 11TH…DFW AIRPORT HAD RECORDED 11.2 INCHES OF SNOW. THIS BREAKS THE PREVIOUS DAILY RECORD FOR FEBRUARY 11TH OF 1.4 INCHES SET IN 1988. THIS ALSO BREAKS THE PREVIOUS 24-HOUR RECORD FOR FEBRUARY…7.5 INCHES ON FEBRUARY 17, 1978 AND FEBRUARY 25, 1924. AT 4 AM ON FEBRUARY 12TH…DFW AIRPORT HAD REPORTED A 24-HOUR SNOWFALL TOTAL OF 12.5 INCHES. THIS BREAKS THE PREVIOUS ALL TIME 24-HOUR SNOWFALL TOTAL RECORD OF 12.1 INCHES SET JANUARY 15-16, 1964. THE SNOWFALL TOTAL ON FEBRUARY 11TH IS THE GREATEST CALENDAR-DAY SNOWFALL TOTAL ON RECORD FOR DALLAS/FORT WORTH. THE PREVIOUS RECORD WAS 7.8 INCHES ON JANUARY 15, 1964 AND JANUARY 14, 1917. THIS BRINGS THE SEASONAL SNOWFALL TOTAL TO 15.7 INCHES…WHICH IS THE 2ND HIGHEST SEASONAL TOTAL ON RECORD FOR DALLAS/FORT WORTH. THIS IS THE SNOWIEST WINTER IN 32 SEASONS (SINCE 1977-1978). In being “out of the norm” and involving heavy amounts of precipitation, they are consistent with AGW models– but do not prove anything. Correct, but only because AGW models “predict” anything and everything Warmists want them to, so are in themselves meaningless. I’m trying to figure out the mechanism for this — perhaps the storm had condensed out so much moisture from the air that after it passed, we were left with extraordinarily dry air which radiated heat away very efficiently during the night. Without water vapor having left the building so to speak, the atmospheric window in the area of 10 um (LWIR) is w-i-d-e-r than it normally is … allowing the direct transmission (or I could use the word radiation, which means the act or process of radiating) of energy into … space! Recall that earth’s surface temperature results in a EM ‘spectral curve’ (Planck curve) with a peak in/around this atmospheric window … click my name for representative curves. The storms represent jet stream tracks further towards the equator than they were which indicates global cooling in progress. Of course the jets pick up more moisture in such a situation because they are above warmer seas before they hit land. In this case they are dragging moisture up from the Gulf of Mexico. We were all told that the jets had moved poleward because we were warming the globe. What can they say now that the jets have been moving back equatorward for the past 10 years and the consequences are there for all to see ? Snow on the ground in all fifty states!!!!!!!!! I live 60 miles north of Dallas. We just had a snow storm that started 4am Thursday and ended approx 4 am Friday, 2-12-10. 12.5 inches in a 24 hour period, breaking the old record of 12.2 in a 24 hour period. The most snow in a day in January since the 60’s. And beat the 24 hour record in the 1880’s. Not to mention that there is now snow in all 50 states, including the mountain peaks of Hawaii.